This dress is an ultimate wardrobe staple doll. 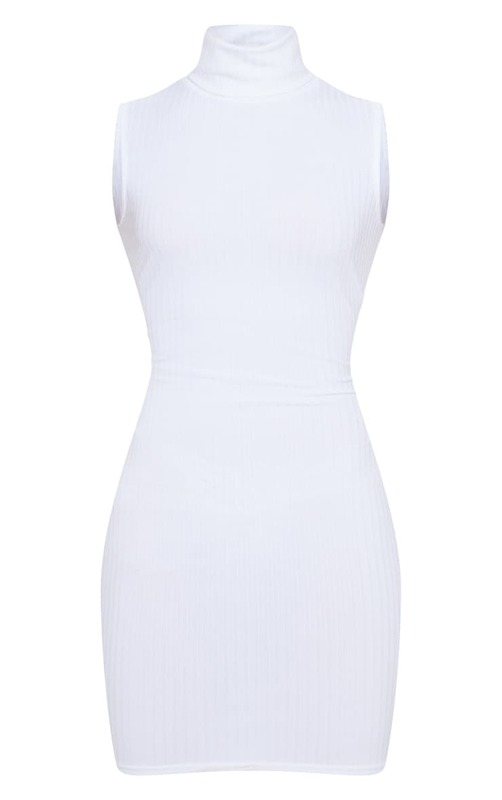 Featuring a white jumbo ribbed material with a roll neck and a figure-hugging fit. Team this with print heels and a matching bag for a day to night look.